Whether you are suffering from asthma, migraine headache, diabetes, high blood pressure, high blood cholesterol and triglycerides, skin disorders, digestive problems, cancer, arthritis or any other ailment it is important to recognize that each and every case is different because the cause of the illness is different in each person’s body. 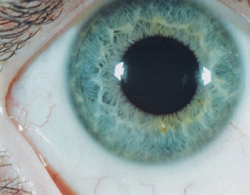 An Iridology assessment can pinpoint the exact root cause of each ailment which then helps us treat each person uniquely according to their individual needs. 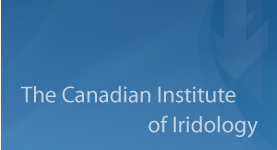 Dr. Agota Csekey PhD., the President and Program Director of The Canadian Institute of Iridology is running a private practice, where iridology, nutrition and energy assessment is offered. 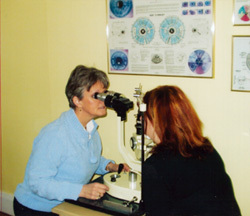 She has over 25 years of experience in clinical iridology and natural medicine. 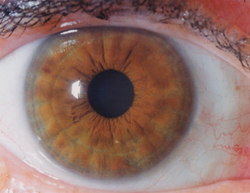 Based on the client’s detailed iris analysis the cause(s) of the symptoms and illness will be determined. To treat that cause(s) a customized nutritional program will be designed, which will include a detailed diet, supplements and herbal recommendations. Energy assessment and balancing will be included as needed. In 5-6 weeks intervals one or two subsequent visit may follow to guide and help the client successfully complete the program. Same process will be followed as in the clinic visit, except the iris analysis will be done using the e-mailed/mailed iris photos. In addition to the customized diet and nutritional recommendations, clients will also receive a detailed iris analysis report.